Congratulations! Your new business is a success! Your first quarter profits are well beyond your expectations and it’s time to make some strategic investments in your business. 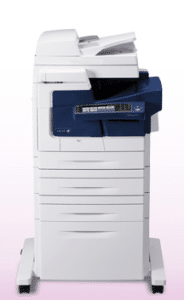 If you are considering buying your first copier, we are an established business located in the Los Angeles area. We work with businesses all over the Los Angeles metro. We sell new and used copiers from some of the top brands in the world. Our sales and service professionals know their stuff and will work with you to find the best fit for your individual needs. It’s important to work with a copier business with the expertise to guide you through the process of buying your first copier. We have been in the business for over a decade and know the ins and outs of these deals. We will focus our energy on working with you to manage your document production, no matter the size of your business. We pride ourselves in offering the best quality equipment for the best prices. If a brand new copier is out of your price range, we also sell quality refurbished copiers. We work with multiple brands and can match you with the right one for you! Make the best choice when buying your first copier. Work with our friendly and knowledgeable sales specialists while making a great investment in your business.